With a rapidly growing membership in South-East Asia and a unique network of businesses, governments and academic institutions, we are committed to supporting our members, their employers, students and educators all across the region. 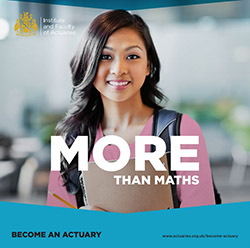 Whether you're thinking about becoming an Associate, Fellow or Actuarial Analyst, the profession offers an exciting career for those who are ready to take the next step and get more from their love of maths. Every year we welcome new students from all across South-East Asia who are inspired by the idea of becoming an actuary. To qualify as an actuary you need to apply to become a student member of the Institute and Faculty of Actuaries (IFoA). You then need to pass our exams, which typically run in April and September, and gain a satisfactory level of work-based skills. To find out more about the IFoA and how you can achieve your career goals, download our "More than maths" brochure today. Our members in South-East Asia work in traditional areas such as insurance, but also in non-traditional areas such as banking, investment, InsurTech and in digital roles. "The most important thing for an actuary is to have the right mindset to be able to manage people, adjust and convince people that you can do anything." 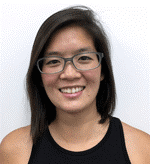 "I work in a small team in a reinsurance broker and the scope of work can be very diverse. Given the backdrop of maturity in the data science field, the increasing sophistication of the insurance industry in Asia, and the shifting insurance regulatory regimes in the region, it is clearly an exciting time to be an actuary." "I enjoy developing a positive working relationship with my clients. It motivates me when I am able to solve their problems, and as a result, become their "first-to-go-to" contact. This makes my work feel more meaningful. I also enjoy the opportunity to apply my technical actuarial skills to creatively deliver innovative solutions for my clients whilst ensuring robust risk management practice." We are committed to promoting quality assurance at an organisational level to ensure confidence in the work of actuaries in South-East Asia. Three out of the four employers outside of the UK that have achieved accreditation by the IFoA’s Quality Assurance Scheme (QAS) are in South-East Asia. 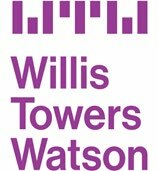 They are Actuarial Partners Consulting’s group actuarial department in Malaysia; Aon’s Centre for Innovation, Strategy and Management Pte Ltd in Singapore; and Willis Towers Watson’s Insurance Consulting and Technology lines of business in Indonesia, Hong Kong, Malaysia and Singapore. The IFoA works with a range of accredited universities in South-East Asia to ensure the highest quality in actuarial education and training. Interested in becoming an accredited university? Contact us to find out more. IFoA Volunteers are at the heart of everything we do. Volunteering brings a range of great benefits. We have an active volunteer community in South-East Asia. There are over 70 volunteers in the region. "My role in the ISCF has also given me the opportunity to engage with many actuarial students in my region. By sharing their experience, thoughts and concerns with the IFoA Education team, I hope I can somewhat contribute in shaping the future of aspiring actuaries." Please contact us to find out more about volunteering opportunities in South-East Asia. Tan Suee Chieh has been appointed as the next President-elect and he will take up this new position in June 2019. Click here for the full article. 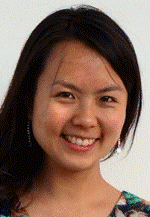 The January 2019 edition of The Actuary magazine featured Sophia Ch'ng, an IFoA member based in Malaysia. Head to our International section for pervious editions. Register your attendance by 21 June 2019. We would like to thank AIA Malaysia for sponsoring the venue. This session is suitable for actuaries working in any area (i.e. it is not specifically aimed at Life, GI or any other technical discipline) and is interactive, so you should come along prepared to take part in the discussions. We aim to avoid overlap with case studies used at other events, but cannot guarantee that there will be no duplication in content. This event is free for IFoA members and will qualify for 2 hours of Stage 3 PST under the IFoA CPD Scheme 2018/19. A no-show charge will be applied. Joint Regional Seminar 2019 - Call for papers! The Joint Regional Seminar (JRS) is an annual event co-organized by the Institute & Faculty of Actuaries, Actuaries Institute Australia and Society of Actuaries with the support of the local actuarial societies in the region. 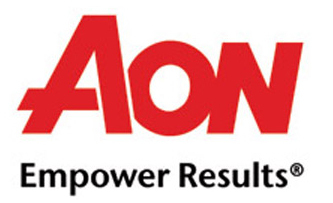 It is designed to assist actuaries and other professionals in meeting their CPD requirements. The format for the full day program in each location consists of presentations by regional and local speakers whereas a workshop may be presented during the second half day program in Taipei and Kuala Lumpur. We welcome speakers from all insurance and financial backgrounds to discuss the above topics and more. We particularly like to hear from those who are already working in the areas of our proposed topics and can share insights of their work with us. Please send your presentation and/or workshop ideas to Pat Kum by 12 April 2019 for the committee's consideration. 22nd Asia Actuarial Conference - Call for papers! The Singapore Actuarial Society (SAS) is pleased to host this year's AAC themed "Crazy Responsive Actuaries – Taking Action to Secure the Future". The organising committee invites interested presenters to register and send abstracts of their topics here. The submission closing date is 17 June. Looking for speakers? Our members are experienced speakers on a range of topics with recent presentations in South-East Asia on cyber risk, retirement adequacy and IFRS17. 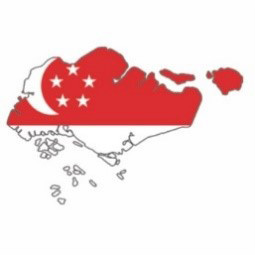 The IFoA’s Singapore office has been in operation since 2014 and we were the first, and remain the only, international body to have an office in South-East Asia. The office has been set up to cater to our 1,000+ members in Brunei, Cambodia, Indonesia, Laos, Malaysia, Myanmar, the Philippines, Singapore, Thailand and Vietnam. Please get in touch with us if you have an interest in joining the actuarial profession, or employing actuaries in South-East Asia.